Ravdol Reindeer herding is a family business that offers the possibility of an authentic experience of reindeer husbandry everyday with unique nature experience in snowy landscape. Ravdol Reindeer herding offer our guests to visit Ravdol siida, cultural performances with stories and joik. 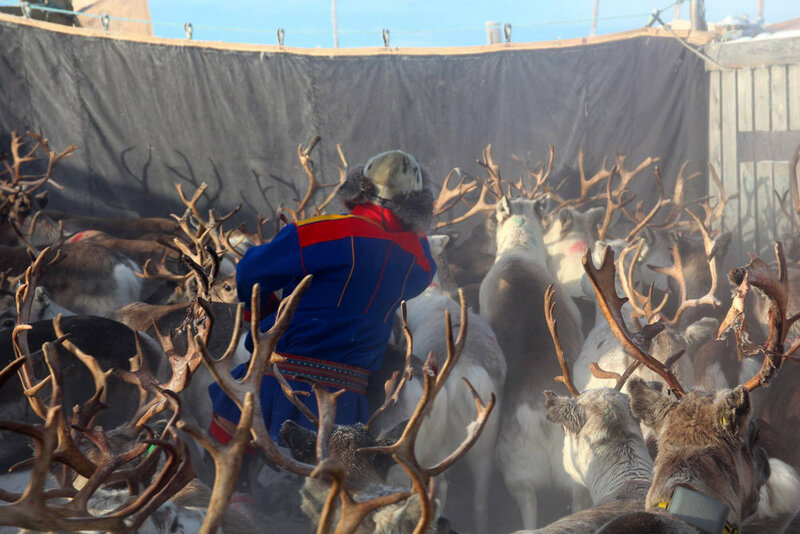 We will offer the upcoming guests a new experience of reindeer husbandry close up while maintaining the valuable legacy of reindeer husbandry and continue traditions. The location is by Night Water or Idjajávri (Sami), 22 km from Karasjok center and 53km or 44min from Lakselv Banak airport. Camp to Ravdol Reindeer Herding is not far from the road but far enough that guests do not hear traffic, allowing guests to enjoy the peace that nature has to offer.